There will be a parade of Champs participants – all welcome. Some will take part in a fun competition between possibly 8 teams eg MG team, Tet team, SJ team etc who took part in the Champs so they will basically be Branch teams. There will be an opportunity to see the winning and second placed Musical rides which were amazing and there will also be Pairs D to Music . Free cake to all riders !! 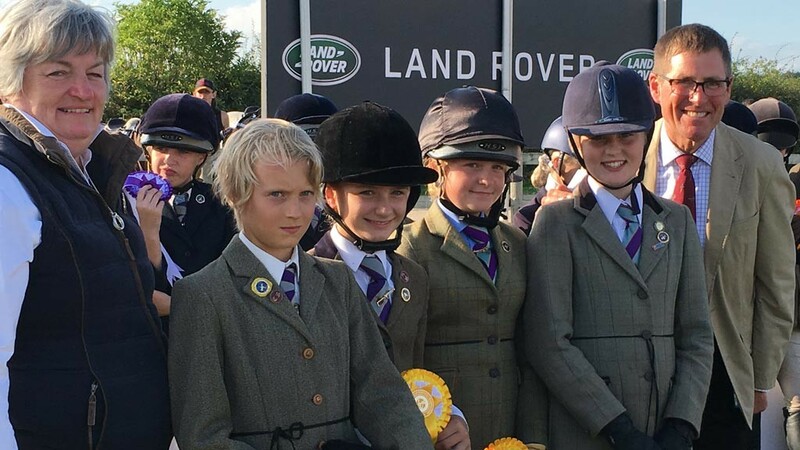 We need an audience of parents/ friends /coaches etc and busloads of unmounted members plus their friends – who will be amazed at what the Pony Club does and hopefully will think about joining. Please do what you can to drum up support for this event even if you did not have any Branch members there. This schedule is being re-circulated due to an error regarding the Open Dressage test – it should read PC Open Dressage 2015. Apologies to all and grateful thanks to Liz Sutton, CHN, for spotting and pointing out the error.